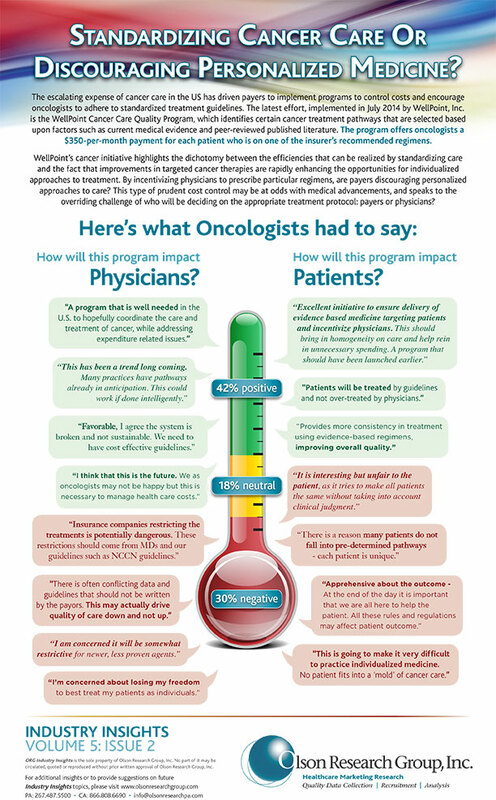 Industry Insights: Standardizing Cancer Care or Discouraging Personalized Medicine? Some Oncologists are now being offered $350 per patient each month to follow an insurer’s recommended treatment protocol but many are concerned that this will inhibit quality patient care. We asked Oncologists their opinions on the matter and here’s what they had to say.